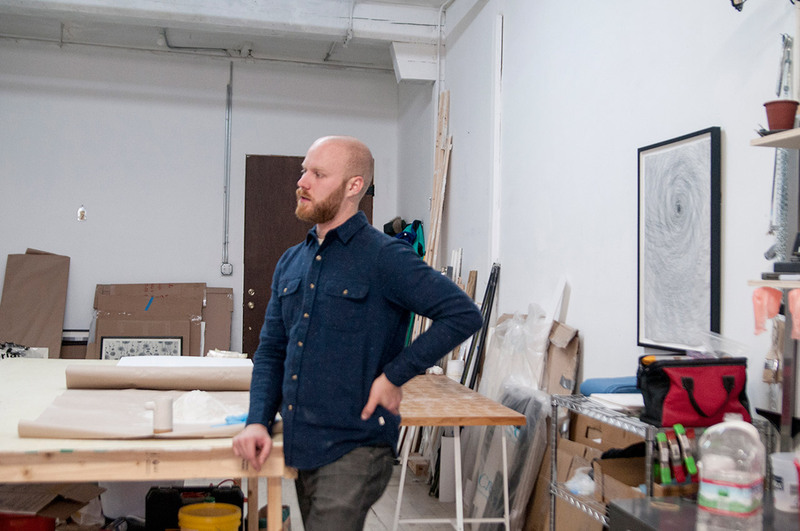 Paul’s studio is filled with the remains of years of sifting through the city for discarded objects, pieces dually considered memory-laden and easily forgotten. Stacked high in blue tubs, the findings are organized as neatly as the many molds for his castings, delicate drawings grace the side of each to distinguish which casting is their match. 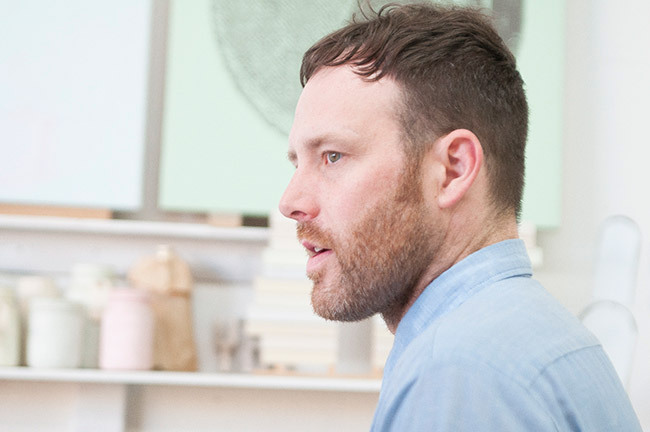 Through collections Paul has explored the throwaways of Chicago’s inhabitants, creating narrative exhibitions he purposefully leaves incomplete. 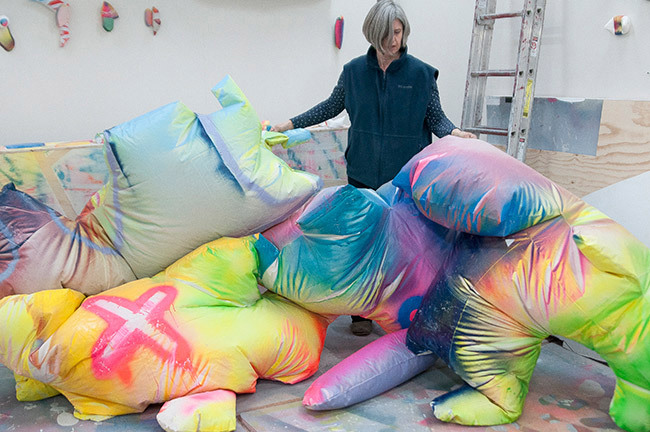 Claire’s studio is located behind her Oak Park home, a space often too small for her large, inflatable creations that tend to spill out into her backyard between plots of tulips. Like the flowers speckling her yard—vibrant yellows, pinks and blues splatter her amorphous objects inciting the innate desire for touch and play. Joseph is an archivist and sculptor who encourages his audience to participate further than a momentary observation of his work. From his studio in Garfield Park, Joseph subtly manipulates materials to share experiences that cannot necessarily be seen.